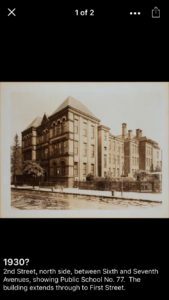 Who doesn’t love a large geotagged data set of historical photos? 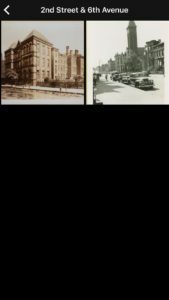 The OldNYC app let’s you click on a location and pull images from the NY Public Library’s Photographic Views of New York City, 1870s-1970s collection so you can see what the area or building looked like years ago. 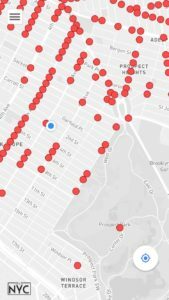 The app is a mobile version of OldNYC.org which mapped the collection’s images after they were put online. The creator of that site, Dan Vanderkam, did some amazing programming work first geocoding the collection and then capturing the handwritten information text on the back of the photos. The about section of the site explains how he did it. He is also the creator of the Oldsf.org which had built prior to oldnyc.org using a historical photo data set from the SF Public Library. One would think there will soon be an OldSF app too.